DirectX 11 GPU with Shader Model 5.0 support designed for ultra high performance in the new APIâ€™s key graphics feature, GPU-accelerated tessellation. CUDA technology unlocks the power of the GPUâ€™s processor cores to accelerate the most demanding tasks such as video transcoding, physics simulation, ray tracing, and more, delivering incredible performance improvements over traditional CPUs. 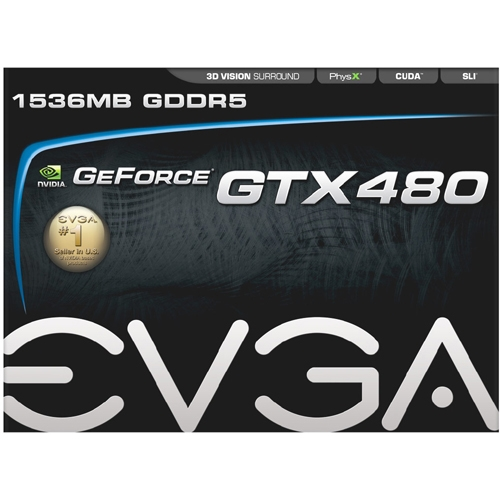 Industry leading 3-way NVIDIA SLI technology offers amazing performance scaling by implementing AFR (Alternate-Frame-Rendering) for the world''s premier gaming solution under Windows 7 with solid, state-of-the-art-drivers. Expand your games across three displays in full stereoscopic 3D for the ultimate â€œinside the gameâ€ experience with the power of NVIDIA 3D Vision and SLI technologies. NVIDIAÂ® Surroundâ„¢ also supports triple screen gaming with non-stereo displays.